EMMANDUS INSPIRATIONAL NETWORK! : RISING BEYOND PERSONAL GREATNESS ! The subject of greatness is an age-long one, which has been of much interest across different circles. Princeton University Word Net describes greatness as the property possessed by someone of outstanding importance or eminence. Greatness should be the quest of every progressive mind, as the world does not celebrate mediocrity rather, it celebrates and rewards excellence. Our generation will not remember how many times we failed but the exact time we succeed in stepping into the hall of greatness. The National Youth Service Corps (N.Y.S.C) scheme is a great one which allows Youths from the nooks and crannies of the federation to be brought together, regardless of cultural and ethnic differences. They are imparted with core values like tolerance and adaptation, patriotism, endurance, team spirit and unity, all of which are very instrumental to achieving personal greatness and above all, national development. Interestingly, it has been psychologically proved that it takes twenty –one days to break or form a new habit. The three week period of orientation of corps members could not have been an accidental occurrence but rather a proper means to an end. 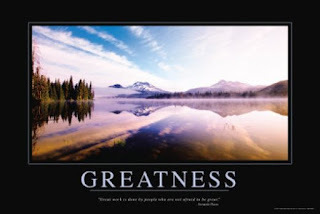 On achieving greatness, William Shakespeare opines that ‘some men are born great, some achieve greatness; and some have greatness thrust upon them” The intended three –week orientation period, in other words the five-hundred and four hours ,establishes the fact that with unity we can all achieve greatness irrespective of our various fields of discipline, ethnicity or religious affiliation. 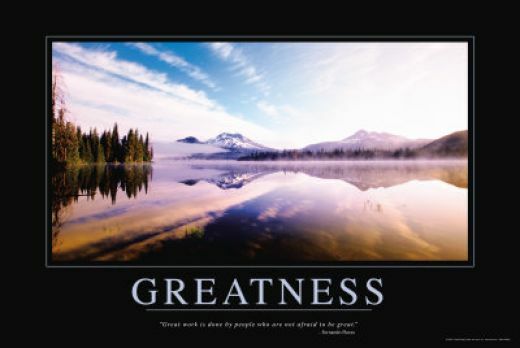 Conclusively, personal greatness is desirable, but the truest form of greatness is that which permeates our entire being and beyond, affecting positively our generation, our great nation and the world at large. This Piece was written and delivered by Emmanuel AYENI on 6th December, 2011, at the NYSC orientation camp Ise-Orun Emure LGA In Ekiti State, It was the last meditation for the camp and was received with great ovation. ©2011, Emmanuel Ayeni. HOTTEST SECRET REVEALED! !​!-A PRACTICAL GUIDE TO YOUR FINANCIAL FREEDOM EARN LEGAL INCOME ONLINE THROUGH QSP! Quick Smart Programme is an online marketing programme which takes you by the hand and shows you how to make legal internet cash.It's sure,safe and legal. For a free instant report, Kindly Send a blank mail to : empowerment.ng@gmail.com.